Much as we like (or dislike) to think that the tear down phenomenon—someone buys a perfectly nice house, demolishes it, and puts up something larger, and usually less lovely—- is an invention of the last two decades, a result of greed and pretension, it actually has ever been thus, particularly in times of prosperity. 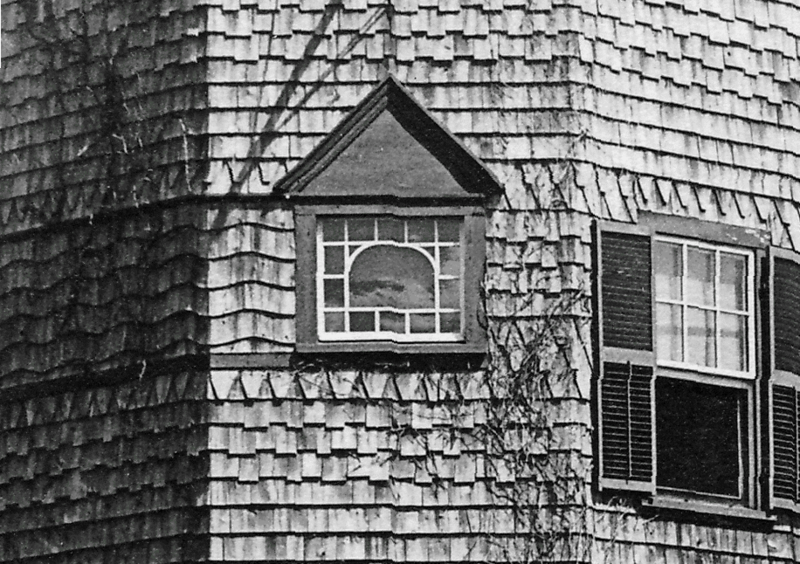 The name of Prof. Hill’s architect is lost in time, but it seems likely that he had plans drawn up by one or another of the good architects practicing around Boston at the time. 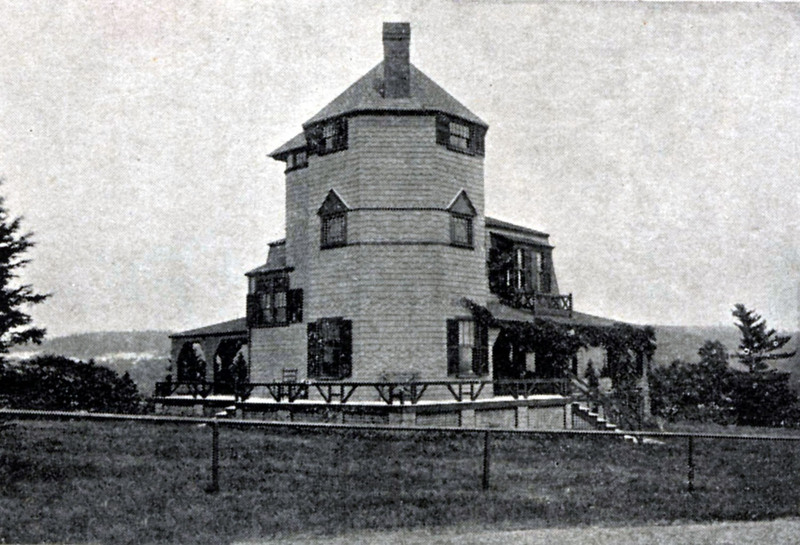 In the mid 1890’s, the Hills remodeled their cottage, adding an octagonal tower in the most modern shingle style. I’ve always been fascinated by this tower. 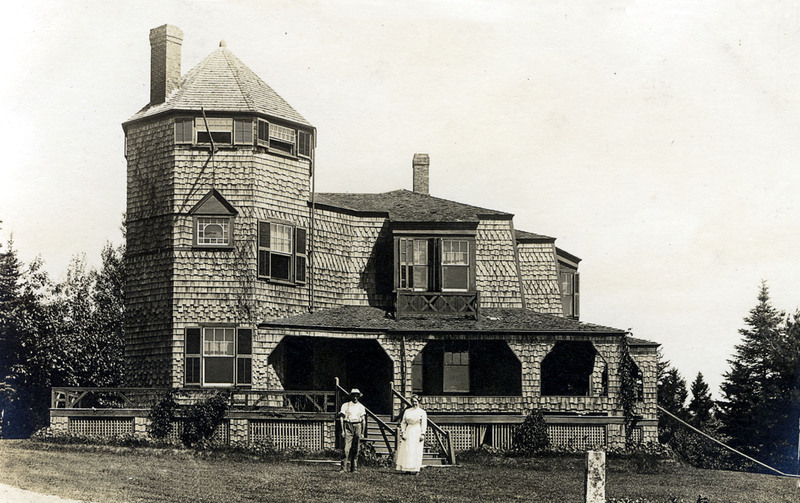 A much more sophisticated work than the original house, it is architecture of a high order—note particularly the rear elevation with its secondary tower for the upper flight of the staircase, and the smooth balance of horizontal and vertical design elements. 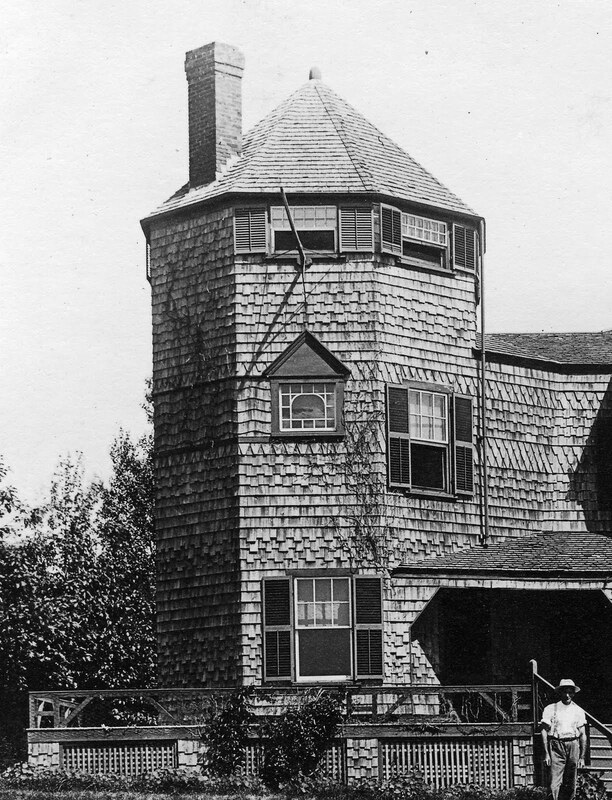 The tower’s suavity and quality of detail relate closely to work being done in the area, including three here in town, at about the same time by William Ralph Emerson, the Boston architect credited with originating the shingle style. A second possible attribution, though I’m sticking with Emerson, was George Clough, the ‘Official City Architect of Boston’, who was born here, and maintained a summer practice that include several summer cottages and renovations. But, frankly, his work just isn’t usually as good as this tower. I’m sorry I never got to see this cottage, but I was born 40 plus years too late. 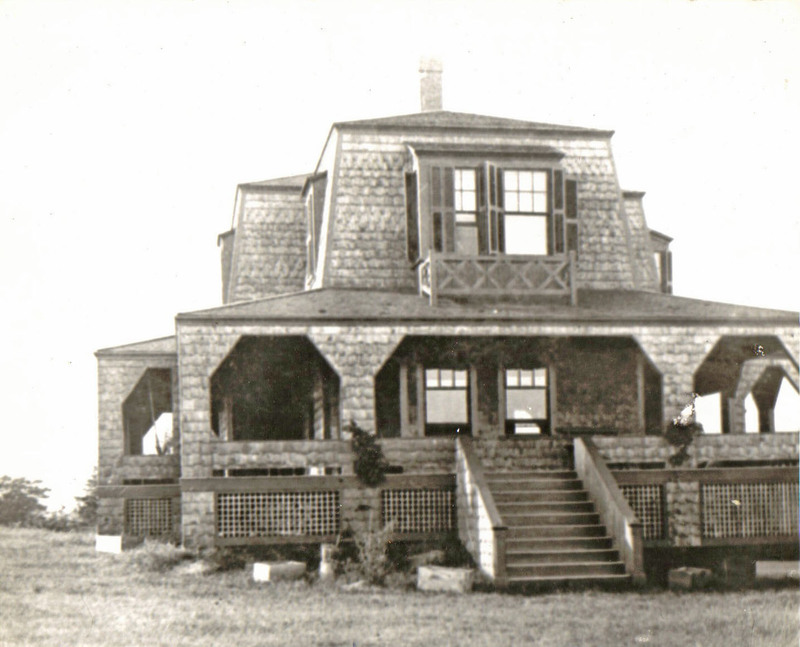 As our town’s reputation as a summer colony grew, a wealthier crowd began moving in, old cottages were enlarged, and new cottages tended to be built on a larger scale. 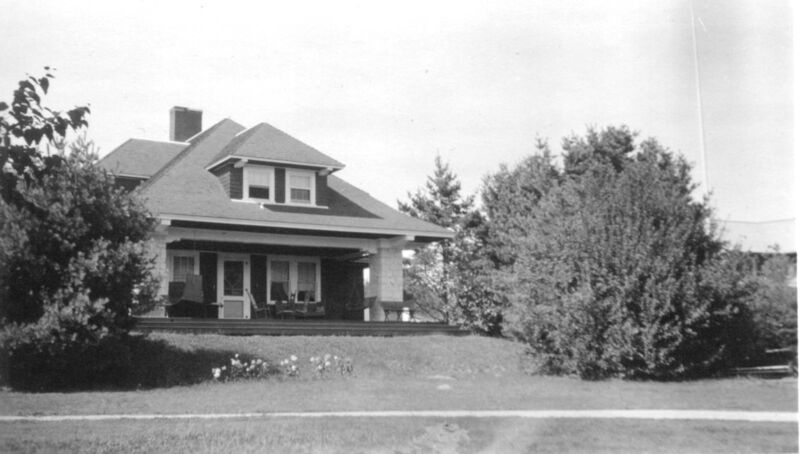 In 1912, the Hill cottage and the neighboring Rose cottage, a hip roof affair of no particular distinction, were both purchased Coburn Haskell. Haskell was married to a daughter of one of the Hanna brothers, the industrialists who dominated Cleveland business in the gilded age. 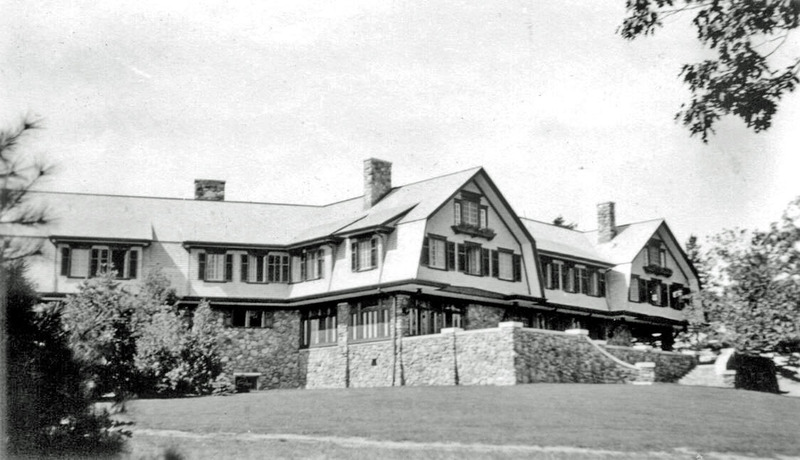 Haskell himself was the inventor and with B.F. Goodrich president Bertam Work, manufacturer of the modern golf ball.